A real horse in a small package. This is how you describe our horses best. With our small breeding herd we try to come to a high quality miniature horse that in looks and movement can compete with a full grown blood horse. In our breeding programme we take much interest in finding the right combination. 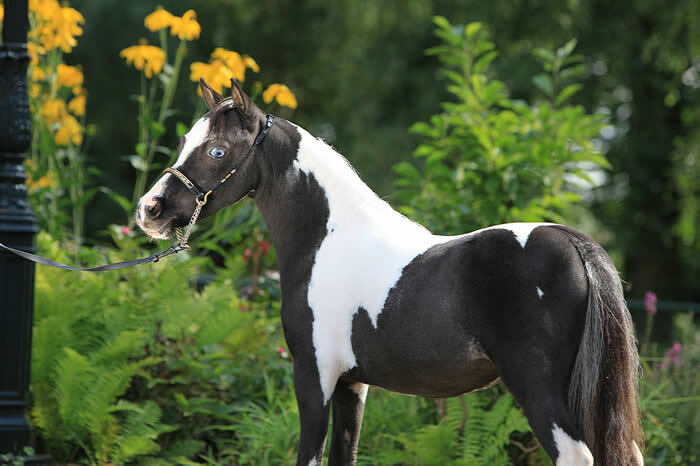 We are convinced that we need to use horse from proven bloodlines to improve the dutch bred American Miniature Horse. We welcome you to get acquainted with our horses on our webpages!